The success of “Straight Outta Compton” should be a wake-up call to the lily-white Hollywood entertainment establishment that routinely plays it safe while making movies for audiences it doesn’t understand. This happens too often to segmented audiences that are largely minorities, women, older adults, and people of faith. Sometimes Hollywood has problems engaging audiences with their movies and seems to stumble carelessly upon surprise hits (the shockingly massive box-office haul of “American Sniper” and, on a much smaller scale “The Best Exotic Marigold Hotel,” comes to mind). Likewise, there is an unspoken, if not obvious, racial- as well as generational disconnect between Hollywood and the public that “Straight Outta Compton” exposed. It is fun and somewhat absurd to indulge in what-if scenarios that point out hypocrisy, but watching “Straight Outta Compton” on opening night after a few moments of rousing applause during key moments really had me soul searching about this industry, where it shouldn’t be and where it needs to go. Why won’t something this dramatic on a grand scale considered a serious Oscar contender? That night, I realized Paul Giammati would more likely be Oscar-nominated for his role in the baby boomer-friendly, Beach Boys biopic “Love & Mercy” — even though he delivers a stronger and more nuanced performance in “Straight Outta Compton” — simply because that is how the system works. If the Hollywood Mad Men think that the success of “Straight Outta Compton” happened solely because of creating a meme generator that garnered 6 million downloads, they have a lot to learn. Likewise, if the Entertainment Industry wants to remain vibrant and understand audiences to make money, they need to continue to learn lessons during these “teachable moments” and apply them to future branding strategies. I think the success of “Compton” goes well beyond a savvy social media campaign. It is rather telling that an adaptation of a 50-year old, obscure spy TV series is a bigger priority (in the theatrical distribution sense) than a high-profile biopic of a controversial yet very popular hip-hop group with a larger fan base that pioneered a new musical genre. There is a scene in “Straight Outta Compton” that actually recognizes this bias. While Paul Giammati is standing with record execs watching N.W.A. perform, one of the older executives walks out with displeasure and snidely stating “Call me when you find the next Elton John.” That is pretty much how Hollywood operates. They want what they grew up with or something that they think can easily sell to familiar and vanilla mass audiences. “Call me when you find the next Chris Pratt” aptly applies here. “Straight Outta Compton” was never going to be a prestigious awards-friendly film. However, it is first rate, multiplex entertainment that excels as a cross between a historical period piece and mainstream R-rated crowd-pleaser. Usually movies like this grab the attention of awards voters and buzz can materialize. This probably won’t happen for “Straight Outta Compton.” It was probably never the intention of Universal to make “Straight Outta Compton” for awards recognition, just to make money and please hip-hop fans. They succeeded at both beyond even the most optimistic of expectations. Kudos for Universal to begin an awards campaign this week. 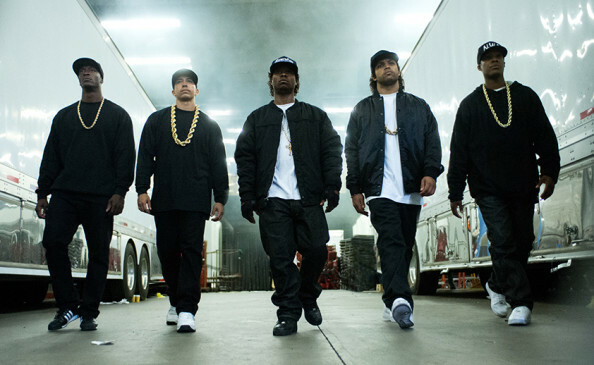 “Straight Outta Compton” is a fine film that flirts with true greatness. Movies like this often earn awards nominations when the target audience is white. Something on this magnitude could even be the current pre-fall film festival Best Picture front-runner. However, since the origins of a 1990’s West Coast hip-hop group isn’t a topic Hollywood loves to reward (unlike romanticizing war, whites combating oppression, or themselves), it will be ignored by Academy voters come Oscar time. 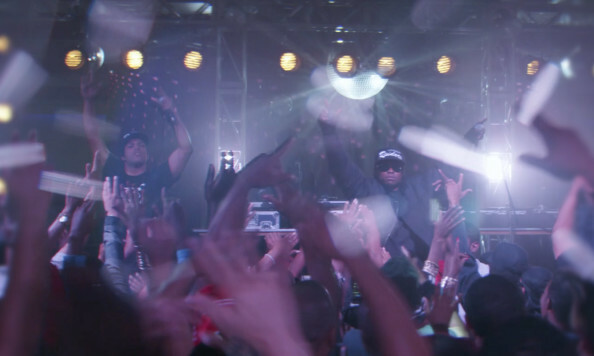 No doubt, “Straight Outta Compton” is a movie event for the hip-hop generation. Unfortunately, not so much for the generation that votes for the Oscars. “Straight Outta Compton” has a lot going for it and has earned its cinematic street cred. A veteran, hard-working, yet overlooked director like F. Gary Gray with decades of experience in the film industry (from “Set it Off” to “The Italian Job” to “Law Abiding Citizen”), has pulled off an impressive production (on a modest $30 million budget, mind you). Mr. Gray was making movies in the 1990’s when these musicians were popular, providing an understanding that is genuine and truly authentic. The ensemble acting here caught me off guard with how staggering it is. The fresh faces in “Compton” could garner attention for the next wave of African American actors in film and television. This sometimes overly-stuffed period piece/bio-pic successfully reflects on our past and points out modern political relevance. “F–the Police” pre-dates #BlackLivesMatter but takes on the same issue (though in different tone). 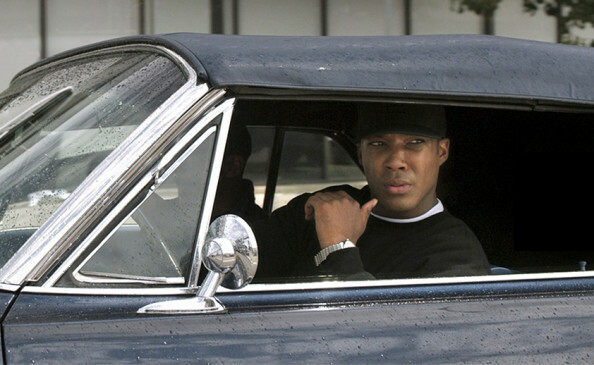 “Compton” scores rave reviews, a strong box office, and a CinemaScore seal of approval (A grade). Any other movie with this combination of artistic merit, cultural zeitgeist, and crowd-pleasing success would garner Oscar buzz immediately especially this early in the awards season. As in real life, N.W.A. spoke for the outcasts, the overlooked and ignored in society. It is deliciously ironic that their film upstages box office and cinematic attention from a Hollywood system that overlooks audiences who aren’t like them. To remain culturally relevant and profitable, now would be the time for the Hollywood establishment to listen. This begins with seriously considering “Straight Outta Compton” for well-deserved awards recognition.